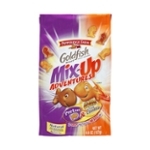 Goldfish Crackers, Crunchy, Cheesy, Toasted; Delicious! 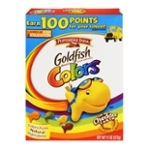 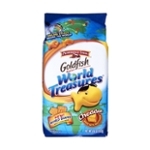 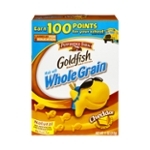 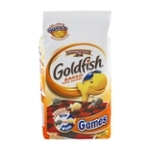 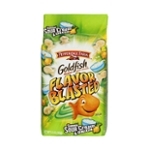 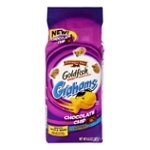 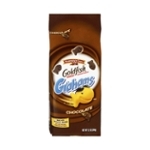 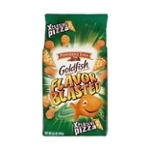 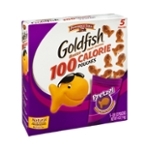 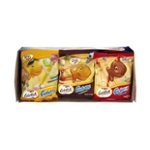 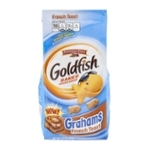 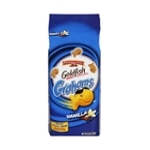 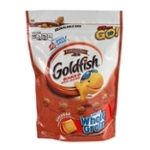 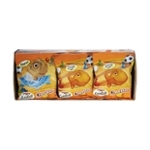 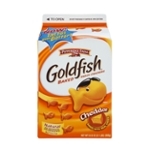 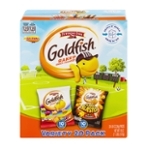 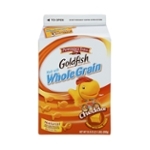 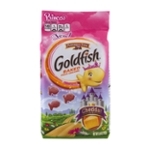 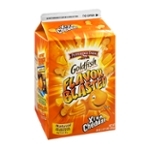 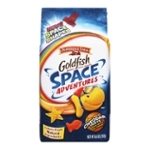 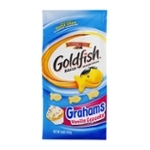 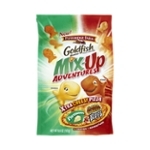 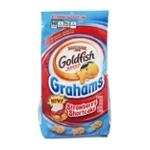 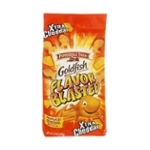 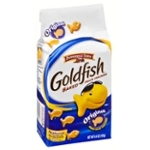 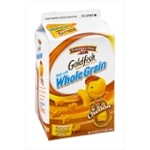 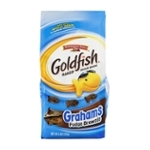 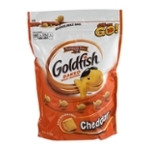 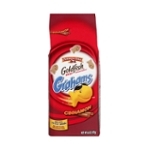 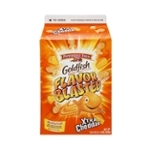 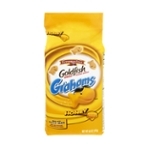 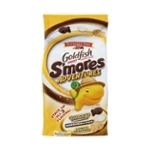 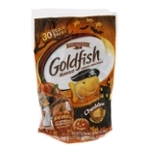 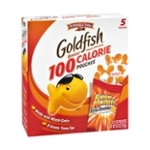 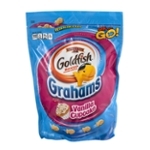 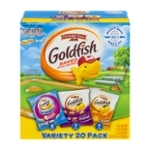 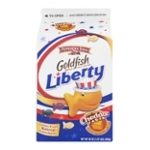 Goldfish crackers from the Pepperidge Farm company is a really tasty snack cracker shaped into the form of a fish, branded, and totally recognizable by anybody, including kids. 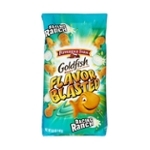 Heavy on commercials, this product is drilled into our collective minds. 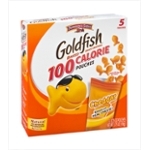 That doesn't mean it's bad! 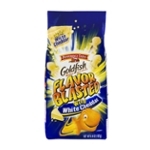 The cracker is a light wafer, and crunchy, coated with a cheddar powder. 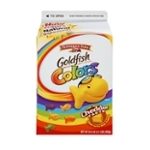 Kids love them. 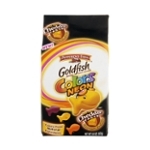 (Shock!) 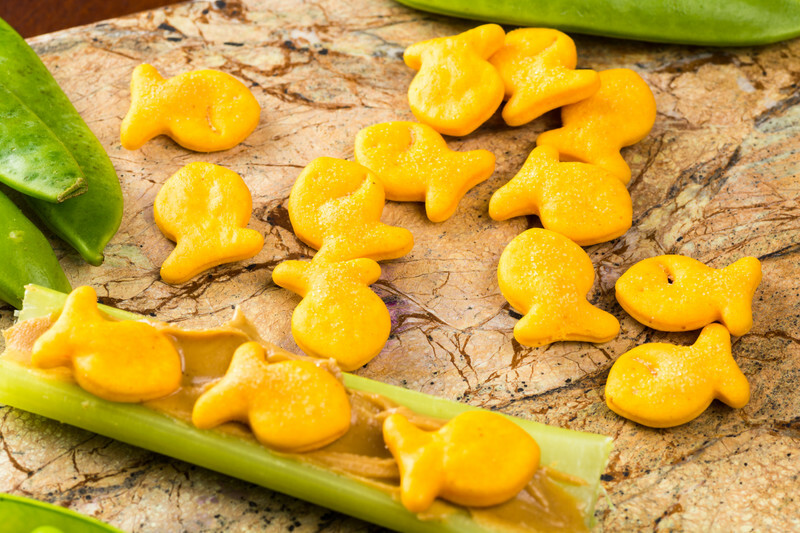 Adults do too!